FAQ: Veeam Cloud Connect – Offsite Backup for VMs – Got Root? If you haven’t heard about Veeam Backup and Replication then you should definately check it out. Veeam B&R backs up virtual machines and provides useful restore tasks such as recovering individual Exchange objects (such as email, contacts, calendar events), Sharepoint files for a document library, as well as full VMs. About a month after we first started using Veeam internally, we were selling it: It’s good. I won’t discuss the details of B&R here and I’ll assume that you have a basic understanding of how it works. If you don’t then you should check the documentation on Veeam’s website. This isn’t really an installation how-to; I just want to talk a bit about Veeam Cloud Connect and how Radish Networks provides this service. Any reference to Veeam Backup and Replication is to v9 which is the current one. With v8, Veeam released Veeam Cloud Connect for Veeam partners. Veeam Cloud Connect (VCC) providers such as Radish Networks are Veeam partners that provide a storage repository to customers who typically have an on-premises Veeam deployment. A repository is the Veeam term for where the backup data is stored. Since v8, all Backup and Replication installs can connect a cloud repository. The backup administrator manages their cloud repositories through the Backup Infrastructure screen. It’s quite easy to add a cloud repository; basically you click “Add Service Provider”. In the windows you then add the host name, port, and credentials that the service provider gives you. Veeam Backup and Replication is very popular and for good reason. The product is easy to use and I think it provides excellent value for what you get. Remember that we’re talking about backups here: The potential for data loss from production servers is significant and the costs associated with such a loss can be extraordinary. For most businesses, backups are very cost-effective. All backup systems should have an offsite component and it’s great to see an easy to use cloud component built in to Veeam’s Backup and Replication. Like any other repository, you can send backup jobs directly to it. Personally, I recommend using the “Backup Copy” function. This way a copy can be sent automatically offsite. Choose the cloud repository and set your restore points. If you’re running these daily then I’d recommend at least 3 points. 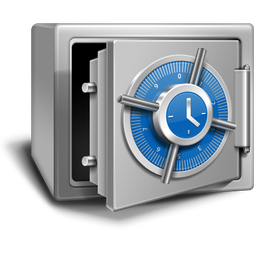 Because we’re talking about cloud storage, you should enable backup file encryption. DO NOT LOSE THIS PASSWORD! The service provider can not recover your password for you. In the “Data Transfer” window I really recommend using the WAN accelerator. I’m hoping that most if not all VCC providers are offering WAN acceleration (we are) because it can drastically reduce backup times. If you are the backup administrator then you should certainly consider purchasing Enterprise Plus. In my experience, Veeam is pretty good to work with and you should reach out to your rep if you want to upgrade. Anyhow, once you’ve configured WAN acceleration you set your schedule and you’re done. Our current monthly pricing for Veeam Cloud Connect is $10 per VM backed up and $0.15 per GB quota. The service has a minimum charge of $30 per month. If you’re confused then just use the calculator here. Quota billing means that the customer and Radish Networks agree on a monthly quota and the customer is billed on that whether they use it all or not. I’d love to offer 95 percentile storage billing, but unfortunately the software doesn’t support it. So you definately want to keep an eye on your usage. The quota isn’t written in stone and we’ll happily adjust the quota on request. Here at Radish Networks, we’re storing customer Veeam Cloud Connect data on RAID-10 and are backing up customer VCC data to our offsite location. Neither our primary or offsite location uses rented storage from a third party. We own the servers and they’re all located in Saskatchewan, Canada. As mentioned, we offer WAN acceleration. We have no setup fees for the service unless you want us to assist in configuring your Veeam install. If you’re interested in our Veeam Cloud Connect service, please contact us. New network, new firewall, oh my!